There’s never been a better time to visit Indianapolis. 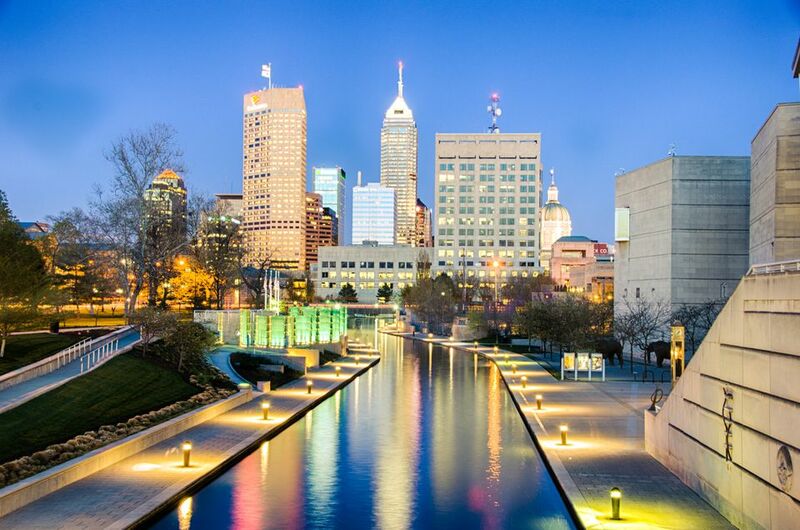 The capital city is filled with special exhibits and events at top attractions such as the Indianapolis Museum of Art, which has a Mini Golf game about Indiana culture for the anniversary, historical sites, Children’s Museum, Zoo, and the Speedway. The Indianapolis Museum of Art is so much more than an art museum so plan at least a day there to see everything. It’s been around since 1883, making it one of the 10 oldest art museums in the nation. In addition to the many art collections that range from Picasso to local painters, it’s also home to the 100 acre Virginia B. Fairbanks Art & Nature Park and the Lilly House and Gardens, which includes views of the famous LOVE sculpture by Robert Indiana. Indianapolis continues to bring in an array of fine chefs and unique restaurants into the fold, taking advantage of the fresh local dairy, meat, and produce. Georgia & Reese’s has real Southern cooking – including fried chicken and all the trimmings – to Indiana’s capital. Jonathon Brooks creates sweet and savory dishes, such as a chorizo & manchego Dutch pancake, at Milktooth which varies its menu based ingredient availability. Indy has also welcomed The Chew host Michael Symon, who opened B Spot. Green is blue when it comes to Indianapolis. Blue Indy is a car-sharing company using electric cars. Indianapolis has the largest program in the nation of its kind with 200 cars (eventually there will be 500). These cars are electric and offer free, guaranteed parking, with pricing at a low cost. As the capital of Indiana, Indianapolis is filled with historical markers you should plan to visit. Monument Circle is the first stop. In the center is a spectacular sculpture by Bruno Schmitz, created at the turn of the 20th century representing civil war figures, including then Indiana Governor Oliver P. Morton. While in Indy, stop by and visit War Memorial Plaza, which includes a museum that exams the history of the American military, beginning with the Revolutionary War. Indianapolis also houses memorials to World War II, as well as the Vietnam and Korean wars. The Children’s Museum of Indianapolis is one of the largest of its kind in the world. It’s five floors of interactive fun and learning for families to enjoy. Among the most popular exhibitions, check out Beyond Spaceship Earth, Take Me There: China, and Dinosphere. Also save time for the “Hot Wheels, Race to Win” experience. Spend a day at the Indianapolis Zoo and you’ll not only have fun, but you’ll also learn about the animals, their habitats and their future. The zoo houses everything from birds in the Flights of Fancy Pavilion to elephants in the Plains. The Indianapolis Zoo is also home to the Simon Skjodt Center for Orangutan Education, where you can learn all about these smart creatures, who were welcomed to this world recognized educational center. When it comes to state parks around the Midwest, White River is one of the most inclusive and unusual. It literally is a vacation spot of its own. Within the 250 acres, you’ll find the Eiteljorg Museum of American Indians, a canal with gondolas, Indianapolis Indians baseball, and the Indiana Cultural Trail. The White River State Park also has plenty of trails for biking, walking, and hiking, concerts, Shakespeare performances, and festivals. The​ Indianapolis Motor Speedway is the site for one of the world’s most famous car races, the Indianapolis 500. This Memorial Day weekend race, which has been running since 1916, is not the only thing that happens here. Throughout the year, you can catch additional car – and motorcycle races, or just come for a visit and a tour on a non-racing day.